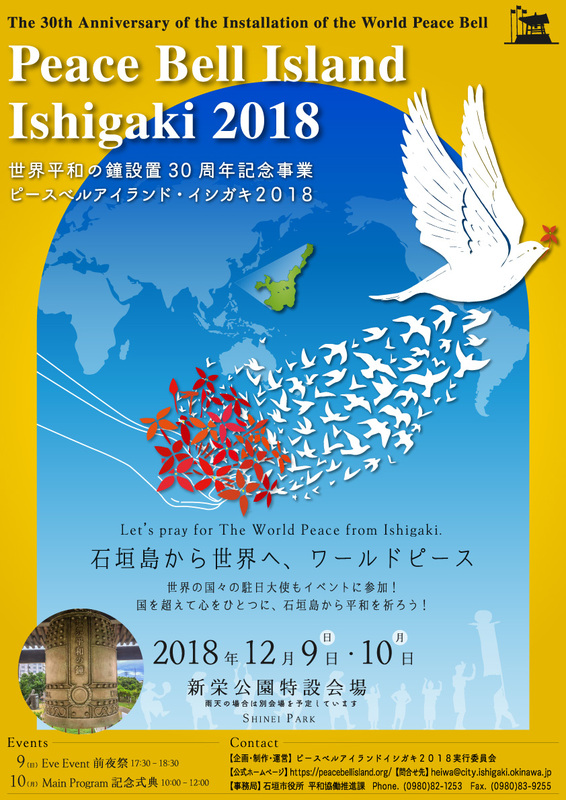 Peace Bell Island Ishigaki 2018 Official Poster is designed by showing a silhouette of the earth and countries of the world together with Ishigaki Island at the center of the image. This tells the viewers that the event will be held on the island. Petals and pigeons are depicted as the symbols of peace. It is also mentioned that Ambassadors will take participate in the event.